We wish Megan and Wes a beautiful, memorable wedding day and a marriage that lasts even longer than their courtship! You’ll find lots more fun customer stories as well as save the date ideas on our blog. 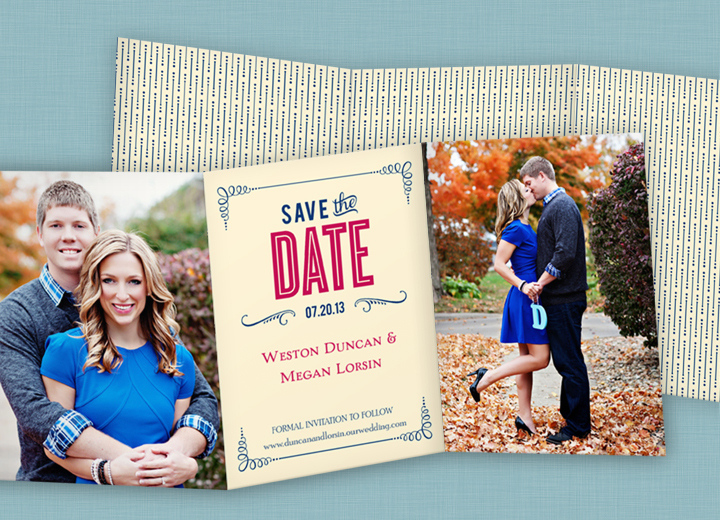 Or check out our save the date card collection to find one that fits your own save the date ideas.